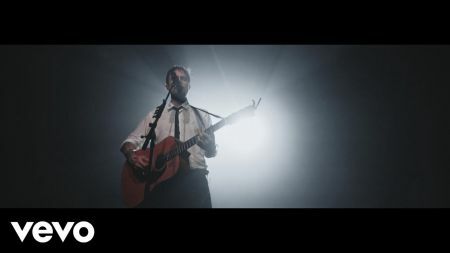 Fans of English singer-songwriter Frank Turner know he's a touring machine. With a slew of dates spread out throughout 2019, the artist will be heading back to the United States for a co-headlining tour with husband and wife duo Shovels and Rope this spring. This trek will feature stops in The Civic Theatre in New Orleans on April 25 and Agora Theatre in Cleveland on May 9. Turner and Shovels and Rope will be joined by special guests on select dates. On the New Orleans show, they'll be joined by Mississippi band Indianola, who have been working on the follow up to their Zero EP. The Cleveland show will feature support from Wisconsin group Trapper Schoepp, who recently released their new album Primetime Illusion. Tickets for these shows go on sale to the general public this Friday (Feb. 8) at 10 a.m. local time. You can check out the full tour touring here. Turner will be supporting his latest studio album Be More Kind, which is his third consecutive studio album to reach the top 10 in the U.K. He's also releasing his second book titled Try This At Home - Adventures in Songwriting on March 21. Shovels and Rope will release their new studio album By Blood on April 12. Click here for Frank Turner tickets.